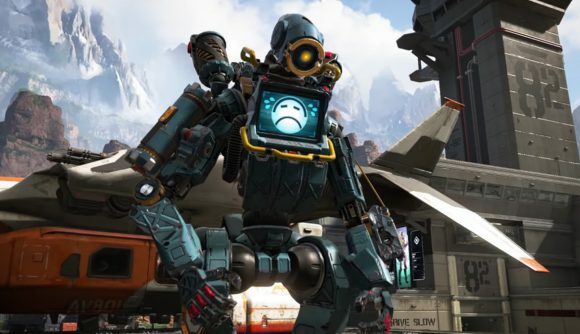 To coincide with its official announcement, Respawn has shared exactly what players will receive for their 1000 Apex Coins. However, a chunk of the community has taken to Reddit to complain that the pass seems dull and uninteresting, with the main rewards of the pass seemingly focusing on badges and trackers – instead of more traditional cosmetic items and high tier, whacky new content. Since the reveal, Respawn has released a blog post to try and explain its choice behind the Battle Pass. “Season 1 is about keeping it focused and allowing players to earn a lot of rewards at a great value” it reads, pointing out that if players use the battle pass’s progression bonus to reach level 97, they’ll have accrued back the cost of a Battle Pass purchase as in-game credit. Season One of Battle Pass is set to be a gentle introduction to what Respawn is planning to be a “long road of improvements, updates and tweaks”, assuring fans of its ‘cool ideas in the works’. There a few weapon skins to boot however, including a three-stage evolving skin that players can use to show off their legendary play. There is an obvious parallel to be drawn here with Fortnite, in which its original battle pass received some lacklustre reception from fans. Now in Fortnite’s Season 8 however, the passes just keep getting whackier, and if this is anything to go by, there’s hope for the Apex Legends community yet. Battle Pass Season One is set to launch today at 5pm (GMT) and will be available to purchase in-game for 1000 Apex coins.